Hello everyone! Yes that’s me on the photo! 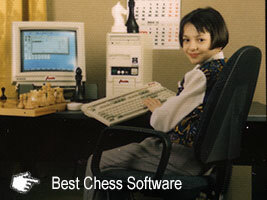 It was taken when I was a kid (remember I started to play chess at 5 years old), and my dad had created a chess program (called “Alexandra”) so I could practice tactics and endgames. It was very rare at the time and it helped me progress a lot. Now there are lots of wonderful chess programs that can help you achieve your goals of becoming stronger at chess. You can see below the best programs by our Chess King Labs and by our partner Convekta, at the very best prices, in our DVD and download shop www.chesskingtraining.com. Make sure to use the coupon code 10dOFF to get $10 off any order >$50, and 5dOFF to get $5 off any order >$25. 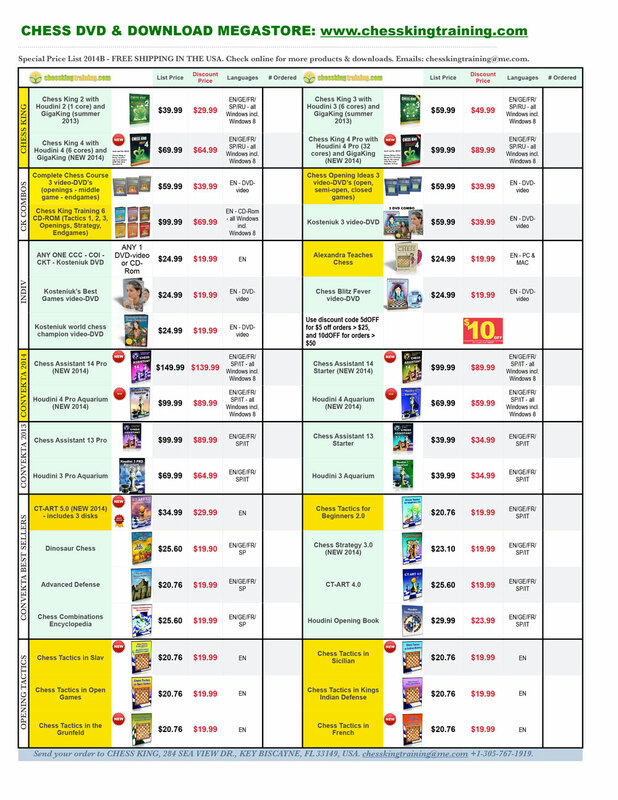 Download or view a partial price list here and see the most popular items below (Chess King and the items marked in yellow). I use both Chess King 4 Pro and Chess Assistant 14 Pro, as well as several other tactics trainers. Email me if questions. Or visit the shop directly for the biggest assortment and lots of extra discounted super combos.